Music in advertising has evolved from the jingles of old to the modern sounds of today, as shown by the addition of popular songs by the likes of Beyonce, Icona Pop or Taylor Swift. Studies have consistently demonstrated that the addition of music can take a ho-hum ad spot from dull to unforgettable, such is the power of music. The role of music in advertising is rarely studied on its own and statistics as to the prevalence of an ad’s accompanying melodies are few and far between. A 1989 study by Musical Quarterly revealed that approximately three-quarters of ads include music in some way, a ratio that appears relatively stable over the years. The use of music in advertising is unquestionable, but, do differences in video ad performance exist between the use of royalty-free music and rights managed music? Does one element lead to (or take away) the stickiness that every brand is looking for when they run an ad? According to the U.S. Copyright Office, protection occurs at “the time the work is created in fixed form.” It is the property of the creator, and any rights are owned in its entirety by the individual. If an employer commissions a piece, then the original work belongs to the employer, and not the employee. If created by an individual, then that person can give permission for use by other people or they can give permission to a royalty free library to sell the use of the music on their behalf. This is an important distinction because all music, including royalty free music, belongs to the creator, who can distribute licenses for use by other individuals. A royalty free library only sells a license to use and not the original copyright. Once a song has been copyrighted, the creator can designate how his music will be used and by whom. Mechanical—gives an organization, usually a record company, the right to reproduce a piece of music onto CDs, DVDs, records or tapes. Performance—grants an entity the right to perform, broadcast or use an original, copyrighted creation in the public space. This type of license includes uses such as, when a song is sung, played, recorded or performed live, and covers mediums such as TV, radio, the internet, live concerts, hotels, bars, stores and so forth. Synchronization—gives the purchaser the right to reproduce the purchased song into something else, such as the soundtrack of a film, TV show or a music video. An advertising video will always fall under synchronization, and it is up to the video creator or agency, to negotiate directly with the copyright holder. In some cases, such as what occurs with a popular, heavily played song, final approval and financial terms, will be discussed directly with the artist and his or her agent. If the song was sold to a royalty free library, you will negotiate directly with the artists designated representative. With the rise of YouTube video, the need for inexpensive melodies to accompany both personal and commercial videos has increased exponentially. The purchase of royalty free music generally gives a buyer the right to synchronize, plus it affords you the right to use the music time and time again on your video. 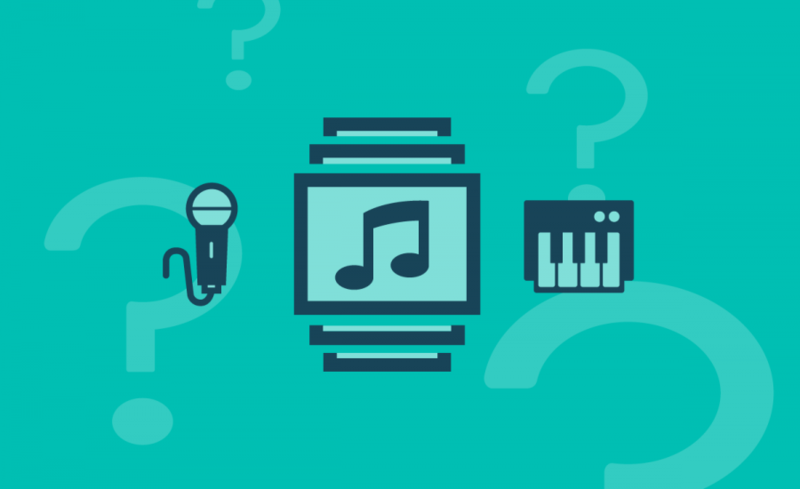 Royalty free music is the opposite of “rights managed music” where a purchaser pays royalties according to the number of times the purchased music plays, plus the estimated number of people exposed to the melody. To sum it up, the owner of the video ad pays the royalty company every time the copyrighted music is played. A study from the University of Basque tested four ads across a random sample of 540 consumers, ages 15-65. All four ads contained an identical script for a fictitious brand of water; one ad had no music while the other three included music as an ad component. Additionally, a 2015 study conducted by Nielsen further examined the memorability of ads. Their research showed that popular songs perform best at evoking emotions, a key ingredient to an ad’s stickiness, but for information heavy commercials, a generic, unobtrusive melody improves message recall. The conclusion by Nielsen? Music ads vs. non-music ads can influence as many as four metrics: creative, empathy, emotive and information. Combine the use of popular music with a trendy artist, as seen in a Hewlett-Packard (HP) ad that used the artist Meghan Trainor and her song “Lips are Movin” and the results prove positive all around. HP saw a 26% increase in total dollar volume during ad air and a 6.53% increase in lift over the previous year. The good news from both studies is that the addition of any music type always performs better than an ad without music. So, how do you choose from a plethora of options? Look to royalty-free music for your video ads. A good library houses a wide, variety of musical genres from heavy metal to country to classical. Libraries vary in quality, so do your research to find one where the music is hand-picked and the artists are screened. Look for music that complements your advertisement and matches the tempo of the music with the pace of the video. Explore different genres to find a style that best suits the advertisement—you may be surprised by what song clicks. Make sure the music coordinates with the video and maintains the structure and theme of the ad. Look for an artist or song that appeals to your targeted audience. Ask yourself, what music are they downloading today? Research the artists you are considering. Do they match up well with the brand’s principles, mission and vision? Choose wisely, with a critical eye to maintaining your brand’s reputation. The use of a popular artist can result in higher sales, but it is more important to find the right song that moves the story along at a pace set to engage viewers and form connections. Consider including the artist in your video, for maximum engagement. Through careful consideration of all the available music and by obtaining the correct license for your needs and budget, you are on your way to a successful video ad. Take your time, for as we’ve learned through research, music brings it all together. Receive future media insights from our experts!